Dollars. Euros. Yen. Pounds. Swiss Francs. Pesos. Krona. No matter what the currency is, as far as creating a budget is concerned, the struggle is the same: it’s hard! It’s also worth it, however. Budgets make moving far easier and less stressful. A little effort at the start of your move to create a realistic budget can save you some major headaches down the line. We think the very first thing you should do when moving is create a moving budget. That’s why we’ve put together our comprehensive guide to creating a realistic moving budget below. First, decide how you will keep track of your budget. Go as digital or old school with this as you want. 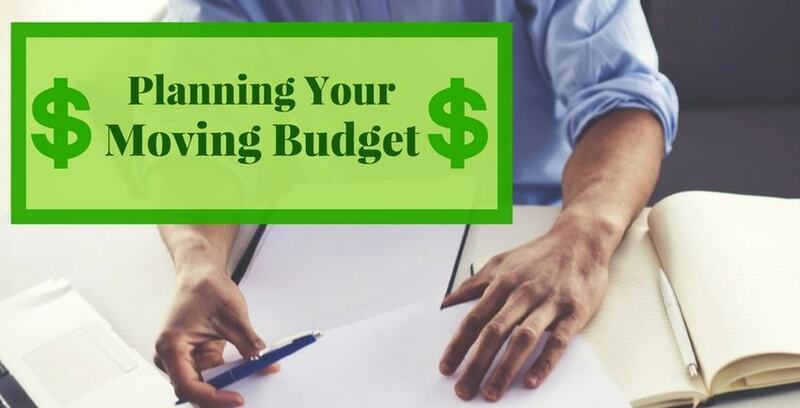 You could create template in Excel or Google Sheets, write your budget down in a notebook, or even use a high-end budget software or website. However you do it, find a way to keep track of the info you'll gather in future steps. What your budget will ultimately look like depends on a lot of factors. Ask yourself as many questions about your particular move as you can think of. How much work you want to do yourself? Will you hire movers? How many? What kinds of work will they do? For how long? Do you need mover’s insurance? Is anything you need to move going to be particularly troublesome? Will you need to allocate any time or money towards that? No matter what your particular circumstances, we’re guessing you can think of good questions to ask yourself. Commit some real time and mental energy toward those questions. Write them down. Try to anticipate as many eventualities as you can. Give yourself some wiggle room for anything you couldn’t expect. The more work you do here, the more accurate your budget will be. Write down all the potential incidental costs. After you’ve determined what your move will look like, you should have an idea of what you’ll need. Take some time to write down every potential expense you can think of, based on the outline you came up with earlier. If you’re hiring movers, factor them in. Calculate how many boxes you’ll need, along with packing peanuts, packing tape, bubble wrap, etc. Add in gas expenses, moving truck rentals, recycling costs - everything you can think of. If you’re using a storage unit to facilitate the move, add in that cost too. To be really thorough, you could even calculate food and beverage costs for everyone helping you. Compare the costs you’ve accounted for with your list of possibilities from the last step. See if you missed anything before you move on. Add up your expenses, then take 5% of the total and add it. The 5% is for “just-in-case.” Trust us when we say you’d rather be prepared in advance than surprised after the fact. Storage Direct is always here to help you realize your dreams when it comes to moving and home organization. Don’t hesitate to put us on the list of companies to call when you’re planning your next moving budget. We’ve got solutions to fit your needs and your pocketbook.